Fred will become United’s 18th South American player to date, coming into the squad with a budding reputation in Europe. He put in some eye-catching displays last season, most notably against heavyweights such as Roma and City. He becomes United’s first signing of the summer, with Diogo Dalot expected to be announced in the coming 48 hours. Fred is extremely agile and looks very easy on the eye when on the ball. He has a good eye for a long pass and loves threading those through balls. The Samba flair is quite evident when the young man is working his magic on the football pitch. It will be interesting to see how Jose Mourinho deploys the young Brazilian. United fans will hope he is able to forge a long-standing partnership with Paul Pogba and Nemanja Matic in the centre of the park. Mourinho has been criticized from wide sections of the footballing diaspora for not encouraging attacking play in a United squad littered with flair and skill. How Fred settles in this United squad will play a crucial role in Manchester United’s bid to challenge the likes of Manchester City for the Premier League crown. 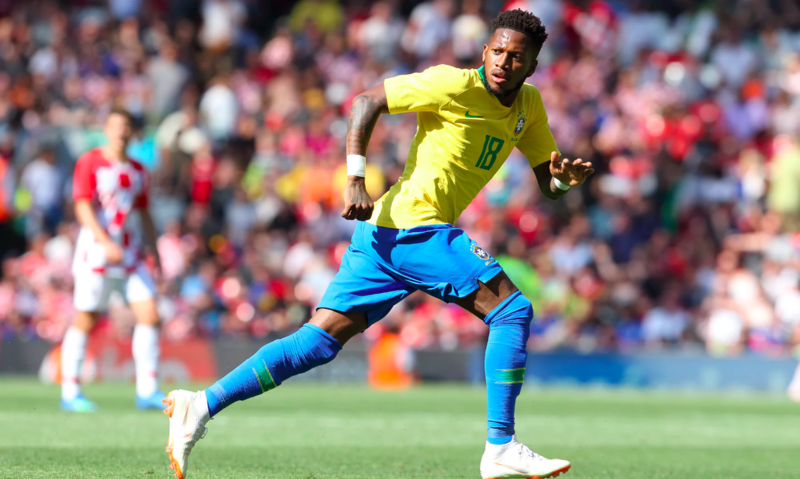 Brazil gave Fred permission to leave their training camp to tie up the move and he is due to return to rejoin the World Cup squad for a friendly against Austria on Sunday. Brazil’s opening match is against Switzerland on 17 June. Here you can see more footage of Fred in Shakhtar colours. United saw off competition from Manchester City for Fred’s signature. He is set to move to the Premier League after five seasons in Ukraine. City almost landed Fred in January, sources said, before Guardiola turned his attention to Italian International Jorginho.